Remote workers take note: some municipalities will pay you big bucks to relocate. The latest American city offering a hefty compensation to those willing to move is Tulsa, Okla. It joins the ranks of states such as Vermont and Maine, which have also publicized incentives to lure people to their cities. 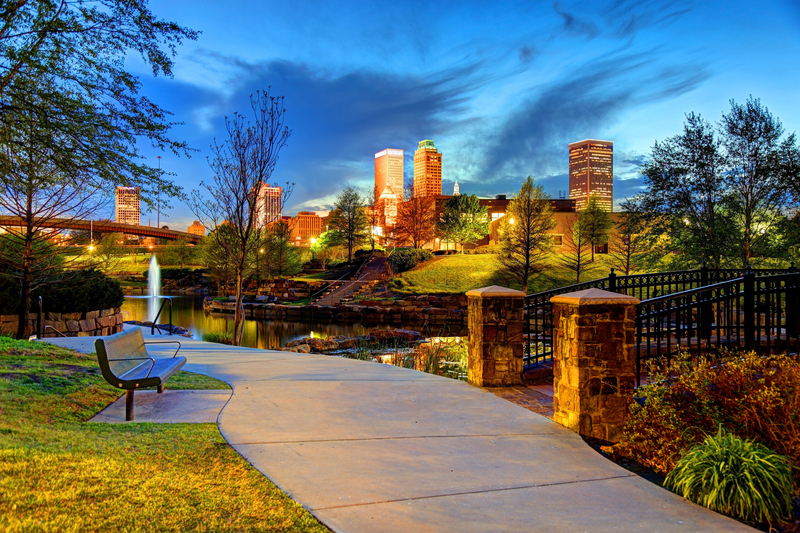 Tulsa bills itself as “the ideal city” for remote workers, reports MarketWatch. It has a low cost of living, several museums for cultural enrichment, and a hopping food and drink scene. The cost of living is eight percent lower than the rest of the country, and attractions such as the Gilcrease Museum contain the world’s largest collection of art and artifacts from the American West. “Tulsa is gaining international recognition for the use of modern technology to better serve citizens, and one of the areas where we see great opportunity is like a home for remote workers,” Tulsa Mayor G.T. Bynum said. Those who take Tulsa up on the offer must stay in the city for one full year. They will receive a $10,000 grant that is broken down as follows: $2,500 for relocation expenses, a $500 monthly stipend, and $1,500 at the end of the 12-month stint in the city. Another perk is a free membership to a co-working space called 36 Degrees North. Remote, freelance and flexible work is becoming increasingly more common, enabling people to work anywhere. Between 2014 and 2017, the number of people who quit their jobs for flexible work doubled, while remote jobs rose 115 percent between 2005 and 2008, according to FlexJobs. The City of Tulsa and the George Kaiser Family Foundation have teamed up to offer this deal to workers who are interested in a change of scenery. The aim is to keep remote workers beyond their initial 12-month stay. “We are looking for talented and energetic people who not only will consider relocating permanently to Tulsa but especially for people who want to make something happen here — to add to the dynamism, idealism and get ‘er done spirit of Tulsa.” Ken Levit, executive director of George Kaiser Family Foundation, told MarketWatch. Country singer Garth Brooks was born in Tulsa, and every year the city hosts the U.S. National Arabian and Half-Arabian Horse Championship Horse Show, which features 1,700 equines. Some of Tulsa’s top attractions include the Blue Whale, a Route 66 roadside attraction; the Tulsa Zoo; Philbrook Museum of Art; and Oklahoma Aquarium. There are nearly 405,000 residents in Tulsa, which has a rate of 565.7 violent crimes per 100,000 people, according to FBI statistics. The city is considered the 14th most dangerous municipality in the United States.